My life has been about three things- brotherhood, good times, and women. Easy. Nothing complicated. That was until Willow Swift came barging back into my life, face bloodied, banging at the gates of The Henchmen compound calling in a favor owed. Now a marker is a marker and I had to make good, but if there was one woman in the world I didn’t need in my life, it was the hard-as-stone, hot-as-sin Willow Swift and whatever mysterious ghosts from her past that were haunting her present. My life has been nothing but two things: hard and complicated. 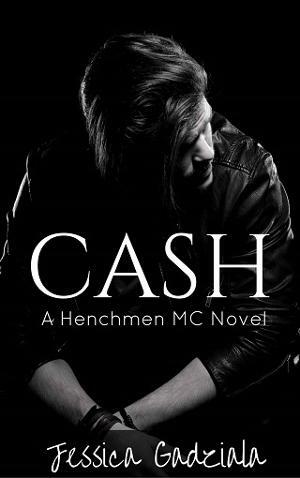 The last person I wanted in my business was the notorious love-em and leave-em Cash, but I needed help and he was the only one I could lean on without worrying about him finding out about my past. But I was starting to wonder if maybe he was his own kind of dangerous bent on tearing down some things I had long since learned were not possible for me- like falling for a guy I could not, ever, let see the real me.